Funding concerns will be acknowledged in a speech from the skills minister, who is to assure delegates at the Sixth Form Colleges Association conference that she will always fight their corner. 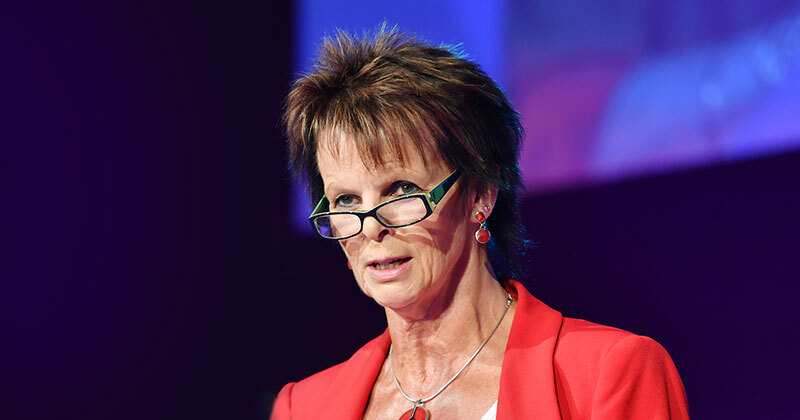 Anne Milton will attempt to strike a reassuring tone when she addresses the conference in London this morning. She will also repeatedly refer to funding, which is a touchy subject among members after the Department for Education last week ruled out increasing funding for 16- to 18-year-olds next year. This flew in the face of the Support Our Sixth Formers campaign, back by the SFCA and FE Week, which has been warning the sector is at “tipping point”. “Yes, we will always return to the question of funding in the longer term and will want to continue to talk to the sector about how to secure the high-quality education all our young people need, but to do this in an sustainable and affordable way,” Ms Milton will say. The funding rate for 16- to 18-year-olds has remained unchanged for six years, and even Amanda Spielman, Ofsted’s chief inspector, warned during her speech at the launch of the Ofsted annual report in December that the “sector will continue to struggle” without an increase. Ms Milton will refer to the issue again in her closing remarks. “As ministers we are fortunate to have very helpful officials who draft us our speeches,” she will say. “And like many draft speeches, I read the conclusion ended with the words that ‘this is a hugely exciting and challenging time’. What does that mean? It is possibly political speak for the fact that the challenge is money. Ms Milton will also refer to efforts to “harness capacity” through “collaboration”, rather than “relying on competition to achieve improvement”. “We have recently recruited the first of our new cohort of national leaders and I am pleased that this includes Peter McGee”, principal of the ‘outstanding’ St John Rigby Sixth Form College in Wigan, she will add. “He will work to help improvement in colleges”. The national leaders will work under FE commissioner Richard Atkins to support struggling colleges. “Our members will be pleased to hear the minister pledge to be our advocate in government, and we hope that she will continue to do everything she can to ensure sixth form colleges can continue to act as engines of social mobility,” said Bill Watkins, chief executive of the Sixth Form Colleges Association.